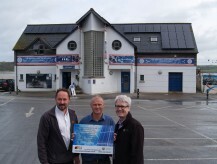 Community Energy Plus is set to unlock the energy generating potential of commercial and community buildings across Cornwall following the launch of our free roof mounted solar PV offer. We’ve launched ‘Community Energy Solar’ as a socially motivated alternative to other solar offers for commercial rooftops. 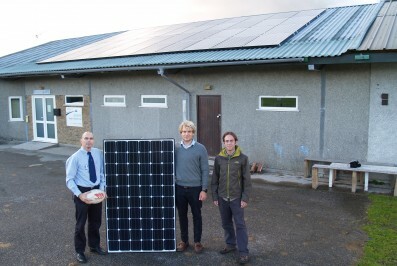 Through the programme businesses, farms, community buildings, clubs and community centres can benefit from the free installation and ongoing maintenance of solar panels in order to access the electricity generated by the panels at a rate which will be typically at least 50% less than standard commercial tariffs. This will offer those taking up the offer a low, predictable cost of electricity for the 20 year term of the agreement. Rising energy prices are a major concern for community buildings and business owners. We’ve set up this new programme to offer the financial and environmental benefits of roof-mounted PV to commercial and community buildings who lack the upfront investment to buy a system outright. Power purchase agreement offers have started to emerge within the sector, but we recognise that many building owners are wary of working with unknown investors and have concerns about their contacts being sold on without their consent which was commonplace a couple of years ago with ‘rent a roof’ solar schemes. As a charity we are not committed to making returns to private investors or banks. All surpluses made through this programme will be reinvested to support Community Energy Plus’s charitable objectives and will help us to continue our fight against fuel poverty and work to create a more sustainable future for householders and communities in Cornwall. We hope that community and commercial building owners across the county will see the value of our solar offer with a social conscience and seize the opportunity to harness the solar potential of their building’s roof. 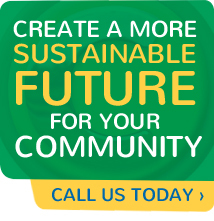 Community Energy Plus will be working with local installers and will be responsible for the installation, maintenance and servicing of all installed systems, ensuring that they meet agreed performance parameters. No capital investment is required.We will carry out a free no obligation technical survey before presenting you with a tailored offer. If you accept, we will install the solar panels for free and claim the Feed-in Tariff. Under our offer’s power purchase agreement you buy the electricity generated at 5-6.5p per kWh which is at least 50% less than standard commercial tariffs. You enjoy a low, predictable cost of electricity for the 20 year term of the agreement. Community Energy Plus is responsible for the maintenance and servicing of your system, ensuring it meets agreed performance parameters. Our lease is designed to benefit and protect the interests of everyone involved, especially the building owner. We will not re-sell your contract. Specific options for system removal and roof repair are intrinsic to our offer. 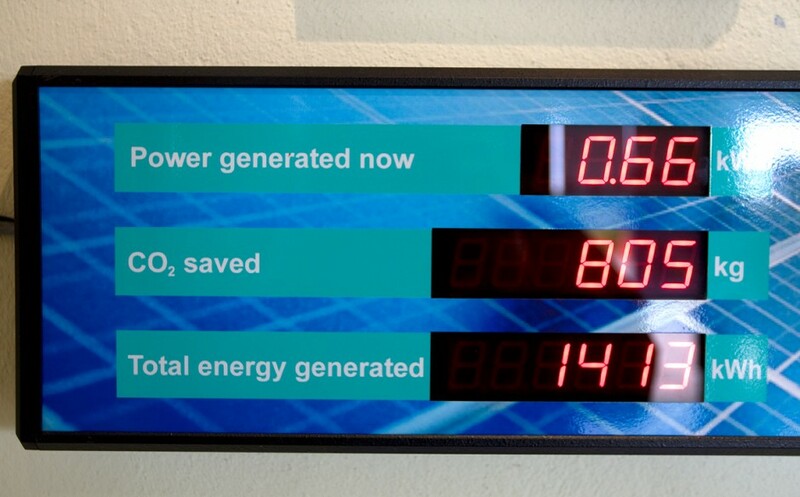 At the end of the term you will receive ownership of the panels when they are warrantied to be over 80% efficient. As a charity we are not committed to making returns to private investors or banks. All surpluses made will be reinvested to support our charitable objectives. You can help Community Energy Plus to continue our fight against fuel poverty and create a more sustainable future for householders and communities in Cornwall. In 2012 Community Energy Plus facilitated the installation of a 9.5 kW solar array on the roof of the National Lobster Hatchery in Padstow. 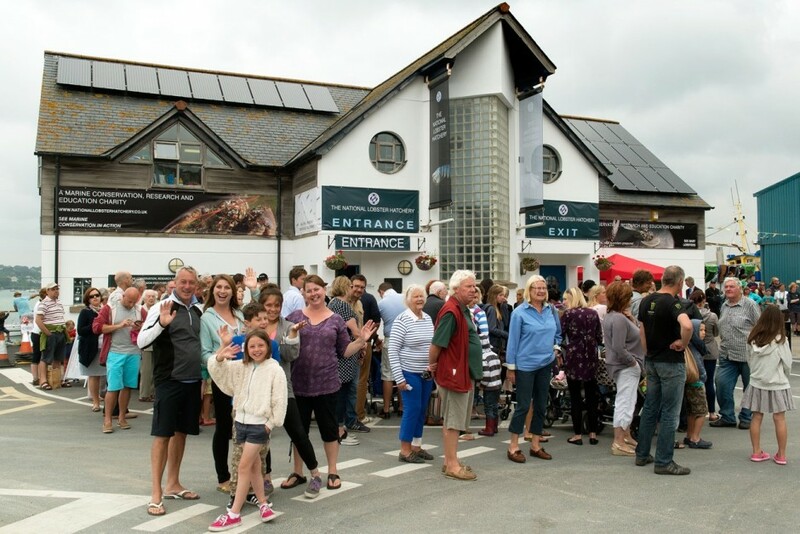 The Hatchery, a charity and social enterprise, uses the green electricity produced on the roof of their building to grow baby lobsters which are later released to preserve the coastal marine bio-diversity of Cornwall and the Isles of Scilly. Orientation: Ideally south facing, but we may still consider your building if it is east or west facing, depending on the pitch of your roof. Building ownership: Freehold/Leasehold – if there is a mortgage on the building you will need to provide evidence of ownership as your mortgage company will need to be notified. Tenants may register interest and engage in this program but dealings will require consent of the landlord. 1) Contact Community Energy Plus to register your interest. You’ll need to complete a short form which is available here or call us on 01872 245566. 2) A no-obligation site survey will be arranged. 3) You will be advised of the outcome of the survey, including the size, design and annual output of the Solar PV system suitable for the roof of your building as well as the potential savings. 4) Once you have agreed the conditional lease agreement, you will receive details of your installation schedule. We will fully manage the installation of the PV system. What does the scheme offer all parties involved? Decision needed within 14 days or receiving the offer, if you wish to accept the offer made to you. Access to building for installation and maintenance over 20 year lease period. Cheap electricity for 20 years at 5 – 6.5 p/kWh, RPI linked (to increase with inflation). Ownership of the PV panels at the end of the 20 year lease. Panels are expected to still be 80% efficient after this period so you will still benefit from the free electricity in addition to an income by selling the unused electricity to the National Grid in the post Feed-in Tariff era. Your building will be contributing to the local supply of clean energy, supporting Cornwall’s move toward sustainable green energy production while reducing your building’s carbon footprint. Average unit cost for electricity purchased by building is 12.4 pence per kWh (source: tariff comparison ratio, EON). *These prices do not account for inflation and Retail Price Index rises or future electricity cost increases. We provide the finance for the offer. 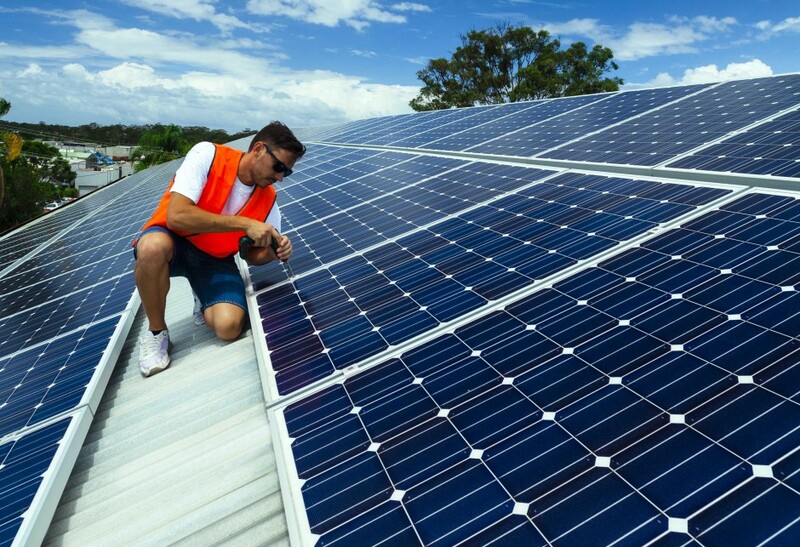 We carry out a site survey and identify the appropriate solar PV system for your building. We pay for all costs associated with gaining necessary permissions, installing technology and its maintenance over the 20 year lease period. We liaise with relevant people at your organisation to provide full details of the offer and answer any questions you may have. We provide you with impartial advice on the best solutions available to you, even if this includes not taking advantage of this offer. We will receive financial return from the Feed in Tariff which, as a registered charity, will be reinvested in Cornish communities and help support our charity’s objectives of supporting projects that reduce CO2 emissions and fight fuel poverty in Cornwall. Removal of the right of assignment. This will prevent the panel owner from selling them on without consent and maintain transparency throughout. 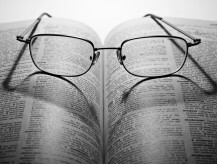 Addition of a buyback clause. This will allow the building owner to purchase the installed system after a set period for a cost equivalent to lost earnings to CEP. Addition of a removal clause. This will entitle the building owner to remove the system twice during the contract to address repairs to the underlying structure if needed (4 week window for repairs with no penalty for loss of income). Addition of a Power Purchase Agreement that will set a price for energy for the building owner that will last the length of the contract term which will be matched to the export value and the price will be agreed as part of the contract+. to further reduce your energy bills. 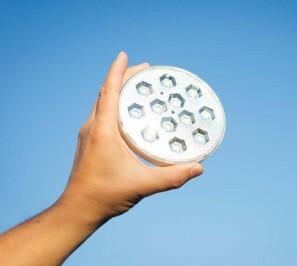 Upgrading your building’s lighting to more efficient LEDs is an excellent way of saving energy and money. We offer commercial and domestic lighting surveys and an installation service to provide a hassle-free switch to LED bulbs. Please note that this offer is not available for domestic properties. In July 2011, Community Energy Plus launched the first round of Solar Communities, working with a number of trusted Cornwall-based Solar PV installers to arrange the finance required to enable organisations to benefit from free green electricity. 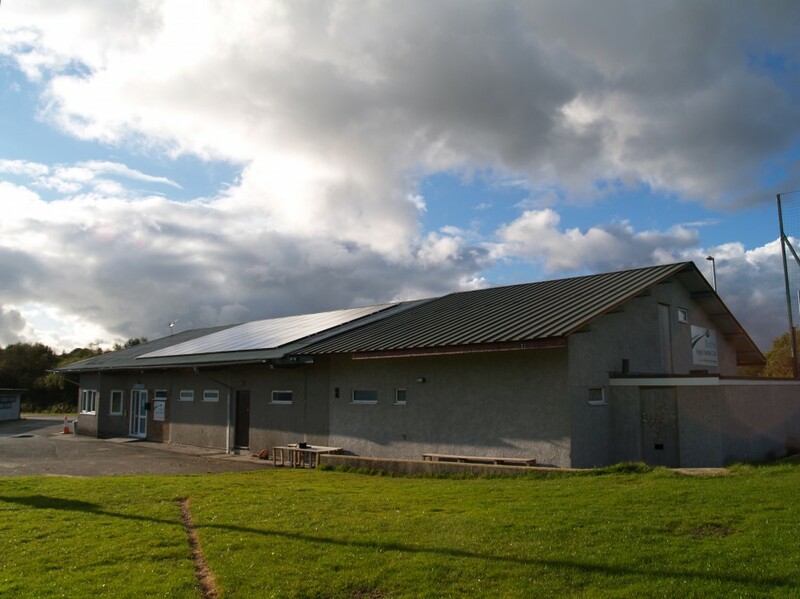 This resulted in a total of 177kw of solar PV installed on 22 buildings by March 2012, including village halls, sports clubs, schools and GP surgeries. The second round of the programme in 2012 saw an additional 5 community community buildings benefit from the scheme. Some examples of buildings who have already benefitted from the Solar Communities programme.